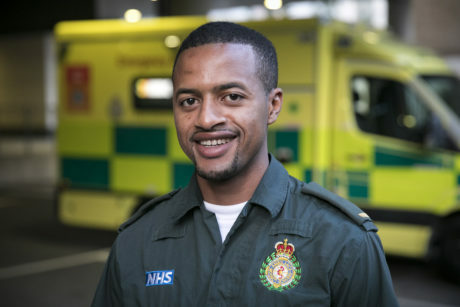 Ibrahim works for us as a Paramedic, and enjoys that his job is very unpredictable. Working in London has meant he’s seen a number of different clinical situations. A couple of friends who came over to London a year earlier told me about it. I applied online and sent the requested documents. I was told there would be an interview and an assessment centre and was after I’d completed those, I was told I had a job 24 hours later. The process was smooth and step by step. What’s an average day working as a Paramedic in London like? It’s hard to say. Some days you get something really interesting you’ll be able to help some really sick patients, but sometimes we spend a lot of time assisting people who’ve had too much to drink. You never know what you’re going to get and that’s what I like about it. I expected it to be busy in London and it’s lived up to my expectations; I’ve seen lots of clinical scenarios I wouldn’t have seen back home. We had to resuscitate someone outside of a train station which was packed with lots of people. It was early on in my time with the Service, so it sticks in my mind. Thankfully we had a positive outcome – the patient was young and it feels good to know I did my bit to help them, and as a team we got them to hospital alive. I’ve dealt with three cardiac arrests since I joined and we’re trying to keep a 100% success rate! But we don’t know what happens to every patient and the hardest thing is not knowing the long term outcome with all the patients that we treat. What advice would you give to someone considering a career with the Service? My advice would be to be positive and try to enjoy it and make the most of the experience.